The Summer holidays are all but over now. I don’t know why but I love September because it never seems that long until Christmas! 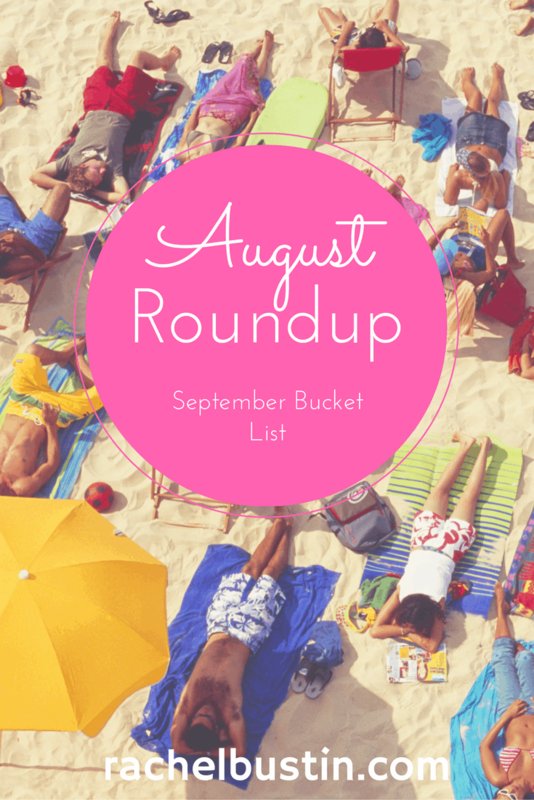 My roundup and bucket list this month will be showcasing my favourite post from August, and my to-do list for September. 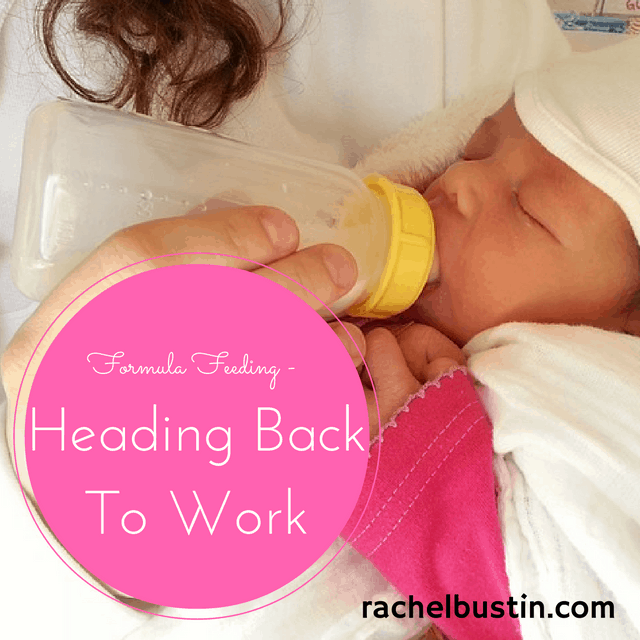 August has been about preparing baby girl for the dreaded return to work. I return at the start of October. It’s all be confirmed now as I have been in to have a chat with my manager. I worked out a little back to work plan for myself as well. To help ease us into the process. For 8 weeks I will be working only 3 days a week and taking the other 2 as holiday, which I have accumulated while being off. That will take me up to the start of December. How I will fit in blogging, working full-time, and having a 10 month old is still a mystery to me at the moment. But I do love a good challenge! It wasn’t a pleasant experience giving baby girl formula for the first time. I actually found it quite upsetting as it’s not something I want to do but kind of need to do. She will want milk while I’m at work. I cannot over produce breast milk for her so I have had to resort to formula. Looking back over my August Bucket List I have achieved quite a lot this month. Finally my media kit is finished! It’s taken a while to do. You can have a little geek over on my work with me page if you want to have a look. I still need to work out how to add a link to it on that page but for now its on there as a photo. Please do tell me if you know how to add a pdf to a page! I have cleared through my backlog of posts and reviews to publish. My husband and I took one afternoon and sorted through all of baby girls clothes. Its surprising what is too small for her and she only wore it once or twice! She is growing so fast. Start weaning baby girl off the breast during the day and onto formula Now she is on 3 small meals a day she only has a 2 or 3 milk feeds during the day so we are making progress. If the weather clears up I need to finish weeding, tidying and replacing the bark in the garden – still needs doing! 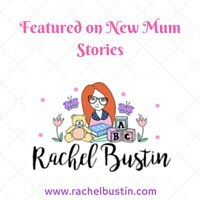 I just want to add that my own guest post series called New Mum Stories is a great success and I have had 5 wonderful bloggers share with us their story of the first few weeks of being a mum. You can read their stories over on this page. 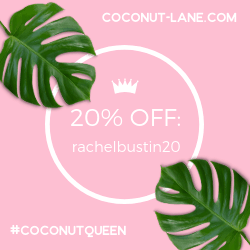 I’m always on the look out for new stories so please send them to me at admin@rachelbustin.com to be featured. A couple of days ago I changed my blog theme and I love it! I hope you do too! Since I went Self Hosted back in July I have been on the look out for the ‘perfect’ blog theme. One that suits my personality, easy to use for all of you and one that was suitable on all devices. So I discovered this gorgeous theme from Pipdig. 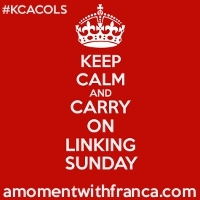 Please have a browse through and let me know what you think. As always I love to share with you my social media stats. It’s great to look back over and see how they have changed from the previous month. 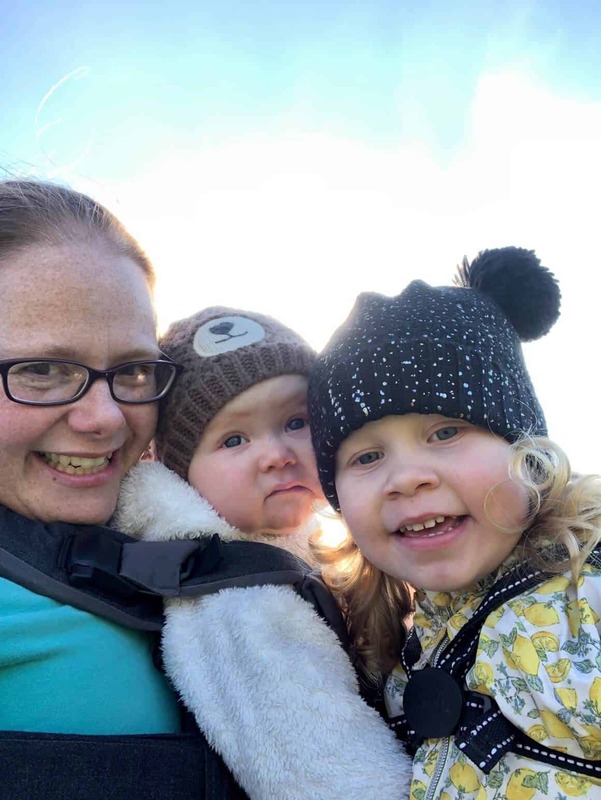 I’d love to join in with your series – can I even if my girls are now 3?! Oh what a busy but happy lady you are. WOW you were busy in August weren’t you! Well done with all your achievements. I’m sure you’ll achieve all your goals. Well done on growing your followers across your social media. Good luck with getting ready for work. 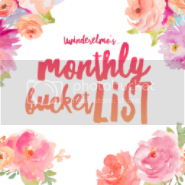 I love the idea of having a monthly bucket list. I could really do with that sort of focus in my days. I hope the return to work goes well when the time comes. 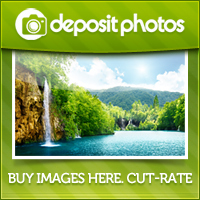 The theme of your blog looks great. I am not sure how good the weather will be for you finishing your garden lol. Gosh well done Hun. I’m very impressed with how organised and motivated you are! Great stats! 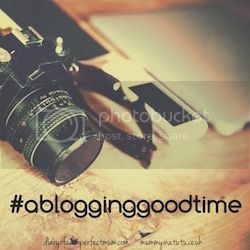 Thank you for linking up to #ablogginggoodtime ???? Love the new theme. I just updated mine too, it makes such a difference when you feel the look of the blog matches your personality doesn’t it? Well done on achieving so much in August and good look with September. Good luck with your back-to-work preparations! It can be hard to balance it all (she says as she rocks a sick toddler when she’s supposed to be in the office), but you’ll manage somehow. Blogging may become a late-night activity!